Strong contrast with hot pink acrylic drops and black wiring. 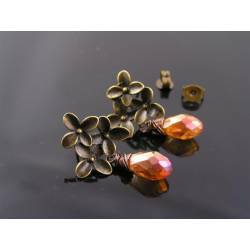 Drops and fittings are available in other colours, please check the listing. 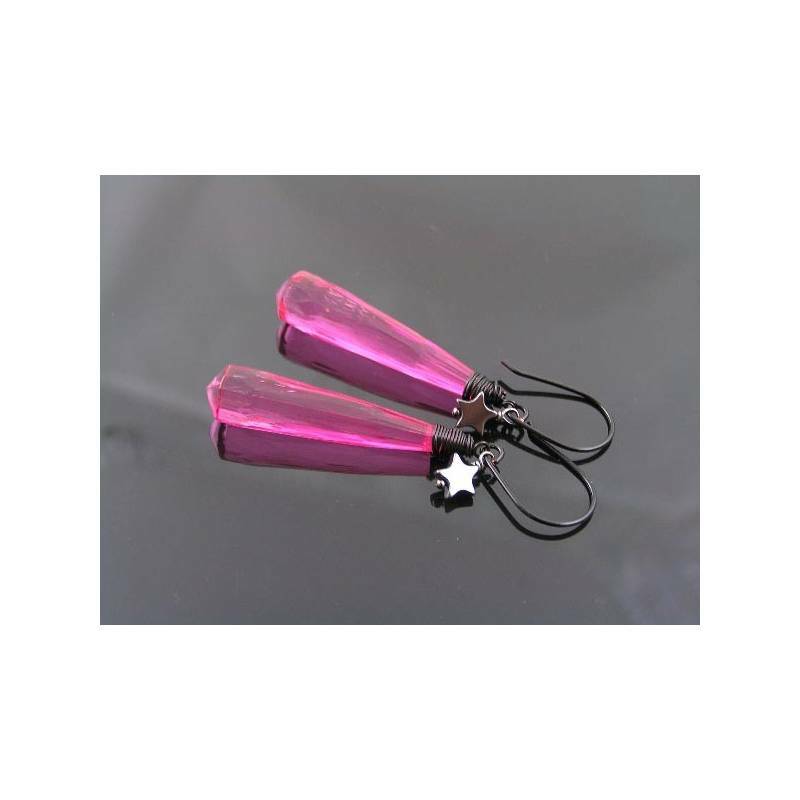 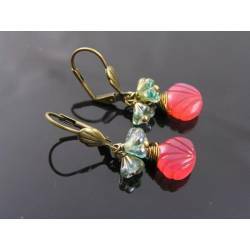 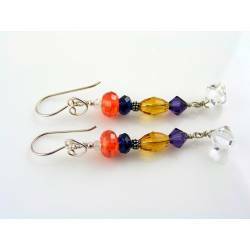 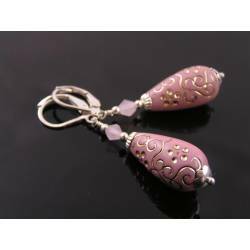 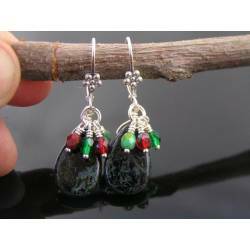 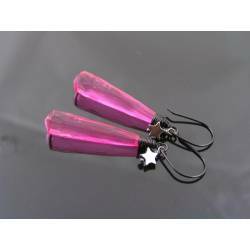 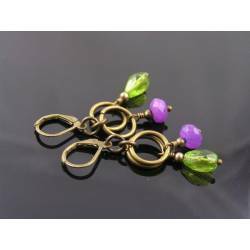 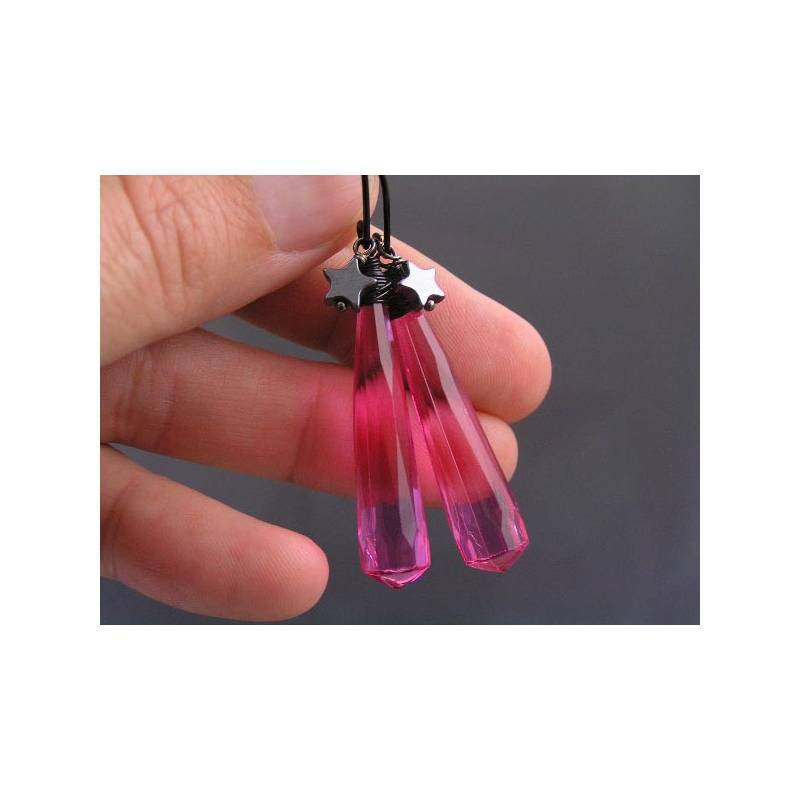 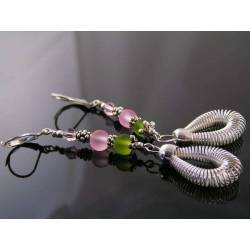 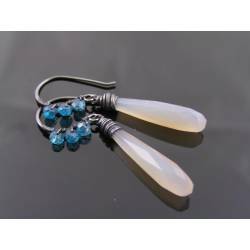 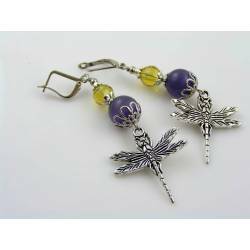 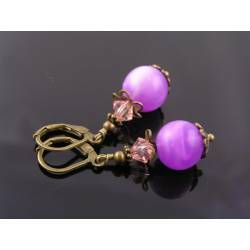 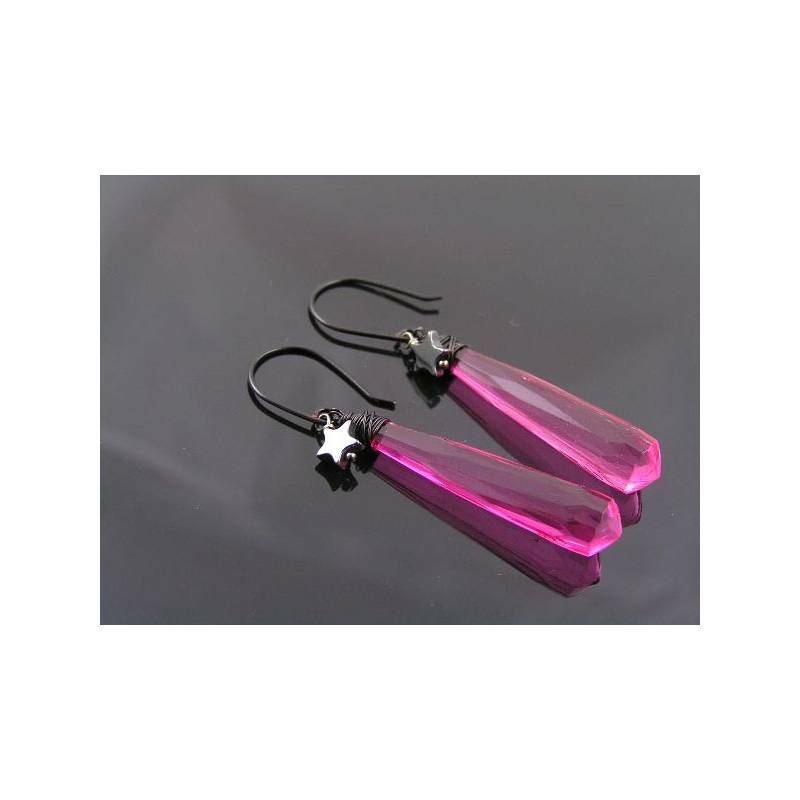 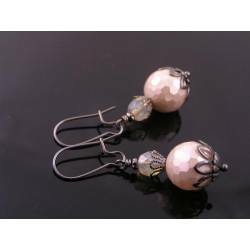 These long dangling earrings are amazingly lightweight due to the hot pink drops being acrylic. 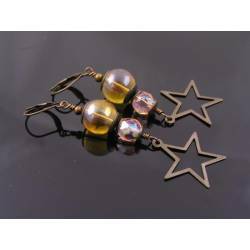 They are nicely faceted and lock amazing together with the dark gray Hematite star charm and the black wire wrapping + ear wires. 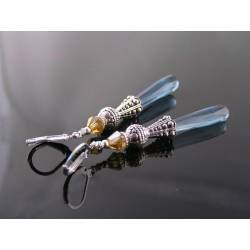 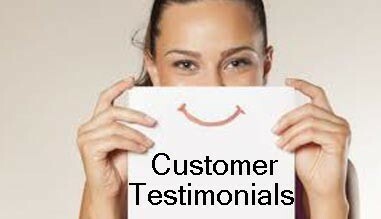 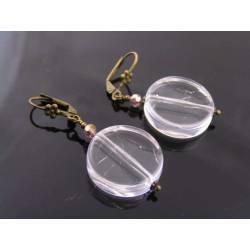 Total length of the earrings is 55mm, they will come with clear rubber stoppers to prevent loss. 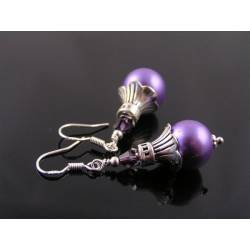 All metal is gunmetal and black finished. 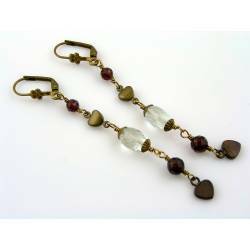 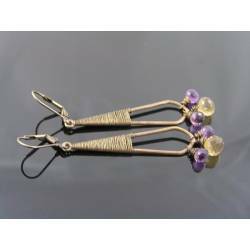 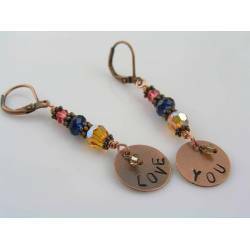 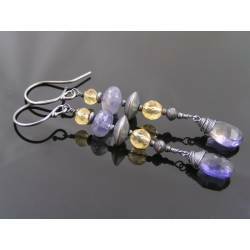 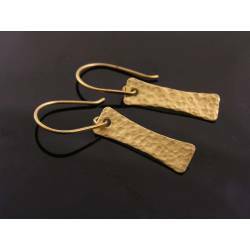 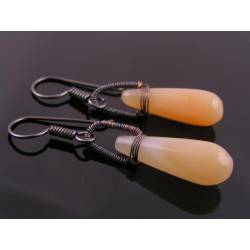 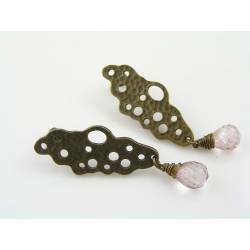 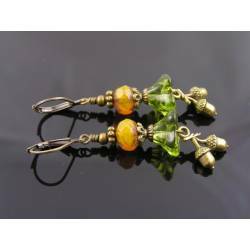 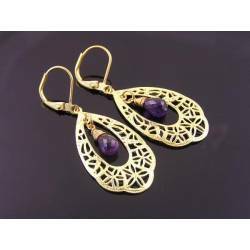 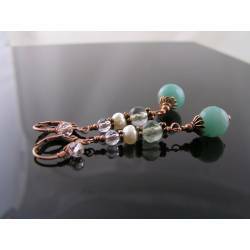 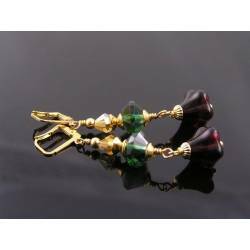 These earrings are also available in gold and silver finish as well as copper, oxidized copper, brass and oxidized brass. 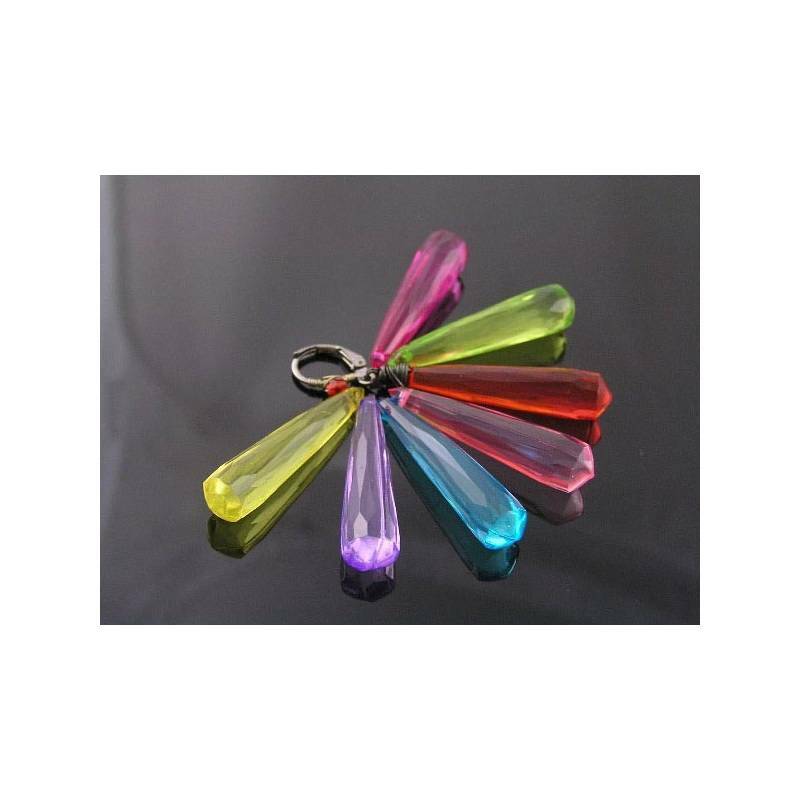 The last photo shows other available colours of the acrylic drops.